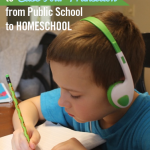 I read this article and wanted to share it with you: 9 Ways to Ease Your Transition from Public School to Homeschool https://blog.sonlight.com/transition-from-public-school-to-homeschool.html. As an introvert, I did not want to be stuck with my children at home. I knew they would drive me crazy. I felt I was not fit for this task. And then John came home with the idea of natural, literature-based education. And I tried it. It transformed our family. It transformed my relationship with our children. It transformed all of our relationships. What’s more, our children got a great education. And, we all enjoyed the process. An oversimplification of the story? Yes. 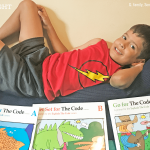 But if you're thinking about transitioning from traditional school to homeschool, I'd love you to think about the long view: Even if the prospect seems overwhelming, you really can homeschool and enjoy it. 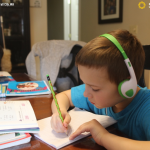 When we talk about the transition from public school to homeschool, it’s so good to remember that all the advice in the world can’t compete with getting to know your child’s unique needs. Just as you are their best teacher, you’re also the ideal guide to love your kids through new experiences. I’ll never forget the night when I knew we'd bring my daughter Amy home. I had just begun homeschooling Luke and Jonelle in kindergarten and first grade. Amy was in fifth grade in private school—the perfect student—getting good grades. Everything seemed to be moving along smoothly. Over dinner, my homeschooled kindergartner and first-grader were telling my husband John how they had learned about centrifugal force that day. Amy was appalled that she had yet to learn about centrifugal force. She pleaded with us to homeschool her, too. Although we were spending significant dollars on her private school, she believed she was being cheated out of a good education by not being homeschooled. What a request! I was already teaching two young students how to read while watching a toddler who wouldn't nap. 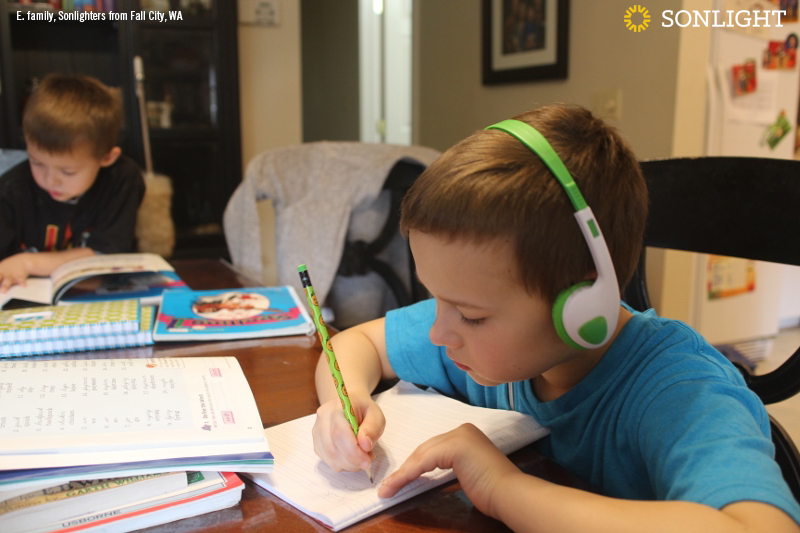 Of all my four children, Amy’s learning style was most suited to a classroom environment—she did exceedingly well, providing what the teacher wanted. Worksheets didn't bother her. If it’s not broken, why fix it? And yet, when your fifth grader begs you to bring her home because she doesn't want to miss out, what do you do? Although Amy had been doing well in school, I was amazed to see a transformation in her attitude immediately. It was as if a huge weight of stress had been lifted that we hadn't even realized was there. Where she used to sometimes needle her siblings to rile them up, now I saw her relax into her own personality and be the leader and peacemaker she was born to be. What a relief! How reassuring to see that even the dutiful student thrives in the homeschool setting. Get on the same page with your spouse and talk about this decision with your whole family. Share your goals with your children and listen to their excitement and concerns. Identify what you're aiming for, not just what you're trying to avoid in the school setting. Before you begin, check your state's requirements for withdrawal to ensure a smooth transition. The Homeschool Legal Defense Association has a helpful interactive map you can use to find what you need. Trying to recreate the school environment in the home is an easy trap to fall into. This can happen in your schedule or approach, but also if you try to separate your role of teacher and parent. Homeschooling is an entirely new category! We have to be authentic with our kids. Rather than try to change hats throughout your day from teacher to parent with false formality, it helps to integrate your learning and teaching into your parenting and lifestyle. Give yourself room to breathe! Realize it might take some time to find your groove. Some families take a few weeks (or a couple months!) to just enjoy being together again and to work slowly into new routines. You might start just a couple subjects at a time and ramp into a full workload. Consider planning some memory-making fun the first week to celebrate the change to homeschooling and share with your kids a positive vibe. Go to the zoo in the middle of the day, or eat donuts in your pajamas. Let it sink in that you can do that now! Every family is different. Make your decisions and schedule fit your family's needs. Get ready to work on your relationships and enjoy them in new ways. One of the greatest benefits to homeschooling is quality time with your kids. It can also be an adjustment in the beginning to spend so much time together. More time together means you may initially notice both more of the “good" and more of the “bad." This is a gift! You want to know what is going on in your kids' minds and hearts. If you can work through the tough things that come up, you will come out stronger and enjoy one another in your family all the more. Commit yourself to look for the positive and affirm the good things you see in your kids. Lean into helping everyone develop the kind of character they need to be mature adults one day, while letting them know you are on their side. You want supportive friends who can help you during the hard times and celebrate the victories of your homeschool journey. You also want to find places your kids can connect with other homeschoolers. A local homeschool group is often a great way to meet both these needs. Enjoy getting involved, but be careful not to overcommit as you adjust to the new life of homeschooling! You can also check out these opportunities to connect with other Sonlighters on Facebook, Twitter, Instagram, and ourForums. Think broadly as you connect with people from your community. 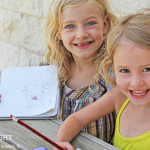 Planning playdates with public school friends as well as new homeschool friends can reassure your kids that they can maintain relationships while they also make new ones. Observe your family as you go and continue to adjust to what works best for you. You'll be amazed at how much you learn about your children's personalities and how they best learn. You'll also start to get a feel for how you like to teach. One of the beautiful things about Sonlight's guarantee is that you have time to really get into the program and try it out and still return it or swap it for a better fit. Even if you decide mid-year to try a different level, you have the freedom to do that. 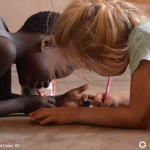 We really want every family to love learning together and want to do whatever we can to make that happen! If you are transitioning from traditional school to homeschool and have specific questions, please contact a Sonlight Advisor (a veteran homeschooler) who can offer a free consultation and walk you through curriculum options.